Are there any wine regions you neglect? There are only so many bottles I can drink and regions I can acquaint myself. I neglect certain areas to focus on that I know and love. I still dabble in other regions, but my main experience and hence wine collection is somewhat geographically limited. South and Central America (or anything from the Southern Hemisphere). I have maybe one bottle of Tannat from Uruguay. I've had some beautiful Zorzal Eggo wines from Argentina, but they haven't become a significant part of my cellar, nor led me to buying any significant quantities of Malbec or any wines from South America. Australia/New Zealand. I was stung by early 2000's flabby fruit/alcohol bombs and haven't gone back. This despite some fine wines now coming from there. There's not enough time in my life or room in my cellar to explore the region's wines. And now, the true, embarrassing confession: I know little about and purchase and drink very few German, Austrian (and Alsatian) wines, including Riesling. I know, I know, Alfert, Bueker, Atick, Golodetz, Coley, and dozens of others will now block me and never read another of my posts. While I love the crystalline minerality and acidity, my S.O. doesn't like any hint of petrol, or sweetness in wine. I can't blame her though. By the time I got interested in Riesling, I was deep into too many other regions. The list of wines regions I regularly buy and drink and understand is broad. I still feel a twinge of regret about what I might be missing, and an embarrassment about some major regions where I'm inexperienced, inexpert or unknowledgeable. Same here. Sampled one or two McLaren Vale cabs from AU and some inexpensive Pinot Noir from NZ. There just wasn't enough appeal to wines from these countries to pull any money away from European and American wineries. Although, I guess one could argue about whether all three of them are in fact “great” wine regions. Washington. Everything time I have one I like I say I’m going to explore this region more and I never do. I pretty much totally ignore my home state of NY. Not a "great" region, but, damn, I live right in the middle of it. I also don't give Spain/Portugal the attention they deserve. Bordeaux, I never drink the stuff. The PLCB doesn’t have much to offer. Maybe others can point the way. I also don’t drink port or anything south of the equator. In the past I would have included Washington and maybe Oregon, but I have been working on that. It's hard to explore new regions when you are basically the only wine drinker in the house and have very few wine drinking friends living nearby. Whine, whine, whine. With narrow exceptions—Ridge, Kutch, Sandlands, and 70s/80s Cali Cab—I neglect all New World wine regions. Not because I don’t enjoy Napa/Oregon/etc, but there is only so much money and space. everything but Burgundy and Champagne, and a little Alsace. You live in a remote, wine-producing country - guess what's on the shelves? Oh, and a high-wine-taxing, remote, wine-producing country at that. So anything from further away than New Zealand is just absurdly priced. Cheap foreigners are competitive enough: Dr L, Guigal CdR. But decent Bdx, Burgundy? No chance. Contra Costa. It's 30 minutes away and has so much history. Bordeaux-even though I enjoy some of the smaller wines. Like most of us, I neglect most wine regions. I just don't have the ability to learn the wines from more than a few wine regions. Even with respect to the wine regions I think I know something about, I am constantly learning how much I don't know - sometimes I think the definition of a true wine expert as being one who is finally getting a grasp on how much there is about wine that they do not know. The biggest portions of my wine cellar are Burgundy (red and white) and German wines. Then, I have some Bordeaux (I feel less and less confident of my knowledge of Bordeaux with each passing year), California (mostly Ridge, Chateau Montelena and Stony Hill), Champagne, the Loire and Piedmont. Then, a smathering of wines from Alsace, Campania, Bandol and Israel. This means I have no wines (or only a couple of bottles) from regions or countries like Southern California, Oregon, Washington, Australia, New Zealand, South America, South Africa, the Rhone, Portugal (other than Port), Tuscany and regions of Italy other than Piedmont and Campagnia, etc. USA - Exactly 3 bottles from both California & Washington in my cellar. Bordeaux - Last bought some '05's, none since. I only like most of them old & decrepit, apart from some right bank wines which are far too much $$ for how much I like them. Open 1 bottle per year other than some tasting events. South America - Not sure any part of the continent is really considered "great" for me even if Chile & Argentina make a tonne. Have a few old bottles of Don Melchor I bought 15+ years ago, but nothing else. Australia - Never bought too much, but stopped completely with the '01 or '02 vintage and sold everything I had. I'd be fine limiting my cellar to 4, maybe 5 countries the rest of my life, France, Germany, Austria, Italy & Spain. I do buy some local wines as well, but not with regularity and often more so on a whim if we're visiting a winery or I happen to know someone. It's funny to see a thread like this where France is subdivided into small segments, e.d. Macconais, and places like Spain, or Australia are referred to as single "regions" notwithstanding the fact that there are many subdivisions within both. Anyway, in my case, it's most of the regions in northern France as well as Alsace. I don't "ignore" them as I'll drink what's offered, but I don't spend a lot of time buying or seeking out those wines. Haven't purchased much from Barossa Valley, but there are other parts of Australia that are increasingly interesting. And the past few years I've purchased nothing at all from any region of Bordeaux. Not intentionally neglecting anything there, it's just that attention was directed elsewhere. A lot comes down to what you define as "great" regions though. Croatia....but I am going to remedy that, I see it as an up and comer. 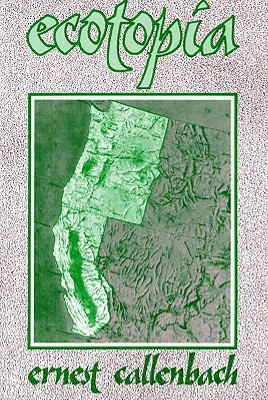 All American points east of California/Oregon/Washington...all the parts of the country that are not included in Ecotopia. Bordeaux - I only get excited about the old ones, so it's tough for me to buy current releases, but I should be buying more that are ready to drink. Burgundy - I buy a little, but too little compared to my other favorite regions. Now I'm looking at pricing on '16s and kicking myself. Rioja - I buy daily drinkers but very little for aging, which seems like a mistake. As with Bordeaux, and probably even more so, the great wines take so long to reach maturity that I almost think I'll have missed the boat if I wait much longer. Bandol - I love the wines yet almost never remember to buy any. I have historically sampled from most major regions but have settled in on West Coast US and French Champagne and Rhone wines for current purchases. I have a lot of other major regions represented in my cellar but am no longer buying new wines. This is the result of current cellar size, my age and in a few cases just giving up on a region. I don’t like to admit this is public settings but I’ve completely shunned Italy so far in my wine journey. I’ve got nothing against the place, I just haven’t found the time to really dive into it and give it the attention it needs. With limits on time and money I am always questioning whether to go with a higher breadth or depth in regard wine regions. Recently is has been depth in a single region rather than expanding to other parts of the globe. Ah, taking the 'parenting approach,' I see! I may have three bottles in my “cellar”. And rarely drink it. I never got the budding start to this exalted region, it was always hard to find down here in Florida, and frankly, didn’t have anyone to teach me the region. None of my local friends drink it, except for Charlie Carnes, and we don’t get enough chances to pop things together. That just leaves you with Asia, Africa, North America and Antarctica! I don't remember the last Spanish wine I've drunk I think it was a menciá lol. I need to fix that. I've been drinking too much California recently. Take a chance, Columbus did.. Unless you dig extracted, higher alcohol, oaked wines...you're not missing a whole lot there. I've come to learn there's very little value in Washington with the exception of the Gorge area. For my palate at least. I too ignore South America because there's so much junk that we get and a lot of the "good stuff" isn't imported because the locals drink it all! I've also really be digging Croatia and Slovenia. All new world regions. I didn't have a single bottle from the New World in my cellar when I joined it with my husband's. He brought some CA wine to the table, but almost all several decades old. Now, we don't buy or seek out to drink any new world wines at all, or near enough to be zero. There are others that we no longer focus on so much, and some in which we dabble at best, but the entire New World is the big area of neglect. I focus on Bordeaux, Burgundy, Northern Rhône, and Germany. Neglect everything else. ...wait they make wine that isn’t from west coast USA, France, or Italy? My cellar is pretty much made up of wines from Paso Robles, Dry Creek Valley (Sonoma), Washington, and the Rhone Valley. I have just started getting into wines from Lodi (because of driving through it on my way to Sonoma) and wines from Alsace. Besides that I have pretty much ignored it. I can help! I am overflowing... Just picture a St. Bernard with a bottle or two around his neck. The last few vintages that have been released have some very early appeal so far. Funny, the last three I brought over were really disappointing to me. Well maybe the Ilan was the exception, as I was not expecting anything good at all. Alsace - Love tasty SGNs, if not the pricing. Sometimes a little warm/ripe for my preference. Argentina and Chile - So much wine, so ripe, so often not my style. Australia and NZ - Australia is a residual of the whole RMP Ooze business. NZ pricing is generally not attractive enough. Austria and Eastern Europe (including Greece) - They just don't occur to me...and few have wowed me to the point of feeling compelled to track down more. Bordeaux - There's an ocean of everyday wine to try but I don't have a "go to" pipeline to tap in to. Burgundy - Prices have risen so high and I've been pissed off for years...resenting any need to sift through the aftermath for bargains, so I largely ignore it. Love the stuff. There's a bunch in the cellar which I neglect because they're "improving". California - Oregon fills my needs, but there's no shortage of great wine countering ripe/oaky stereotypes. Germany - A couple of go to Rieslings, a Spatburgunder or 2. I don't like diesel. Italy - Almost everything outside of Tuscany, Piedmont and Sicily. So much wine...so much of it good...but just so much you can follow, and then neglect so many by default. Portugal - No good pipeline, plenty of goodies. Fan of decent ruby and tawny port...which can be a challenge. South Africa - Haven't had one since a trip to Mauritius several years ago. Almost never see it, not that I look for it. Spain - A recent trip to Barcelona reminded me of how much great wine is made and available there. Much harder to find the wines here that interest me. Washington - Is it a State or a City? Need to rectify the Germany/Austria situation soon. Maybe that will be my summer project. Oh the self-flagellation! Gosh you all are failing as true berserkers . It’s a big big world with so many (a million+?) wines produced. I am most interested (I hesitate to use the word ‘focus’) in/buy regularly from Northern California (Napa Cabs, Sonoma/Mendo Pinots), Bordeaux, Burgundy (rouge and blanc), Champagne, Piedmont and Germany (mostly Riesling from the Mosel and tributaries so far). And I feel I’m barely more than a novice for these! I nibble on quite a few others regions that I enjoy (Oregon, the rest of Italy, the Loire, the Rhône, etc.). This is already far too much: my credit cards are rebelling, my cellar floor is collapsing from the weight of the cases and my mind is utterly confused. The other regions should be thankful I don’t inflict myself on them. Went shopping today to focus on regions I have neglected, Slovenia, Greece, Alto Adige, Austria, and Green Spain. I have to admit, I'm truly embarrassed by my utter lack of knowledge of Riesling, and my meager comprehension of Burgundy. As long as I'm self flagellating, my French pronunciation is shameful. However, I think I'll survive the humiliation. Super easy answer for me is Burgundy. I’ve been relatively serious about wine for 25 years. Our collection size might be 20% below its peak of 2000+, but I would say that of 1700 or so bottles that there are only 30 bottles of Burgundy. I’ve had some excellent Burgundy, mostly from other people. I just don’t elect to make all the effort to learn the ups and downs of vintages or the multitude of wines, find decent sources/prices. But the big thing is that I do not find that my enjoyment has tracked real well with data learned from others or reviewers. It’s a tough prediction. I often less enamored with it than are the others that I drink it with. Beyond that is the large percentage of bottles that I store that end up not fulfilling promise, often even flawed. Too complicated and too much of a minefield.